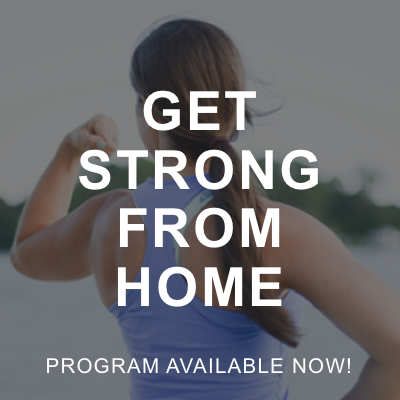 Intimidated by all the steps and processes involved with making homemade bone broth? Short on time, patience, and desire to spend more time in the kitchen? 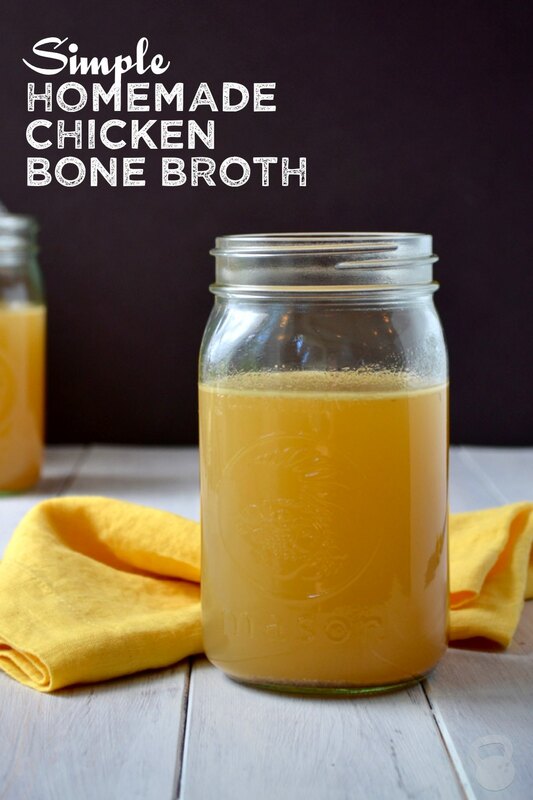 Then I’d like to introduce to you my simple homemade chicken bone broth recipe. Bone broth has a long and rich history of medicinal and culinary uses. In addition to being a staple in many professional kitchens, homemade bone broth (or stock) made from animal bones was used by many cultures around the world to support digestive health, immune function, and of course—to create traditional stews and soups. Traditional practices like eating organ meats and making bone broth allowed our ancestors to make use of all of the parts of the animals they hunted, which provided deeper nutrition, and showed respect for the animal giving its life to sustain others. 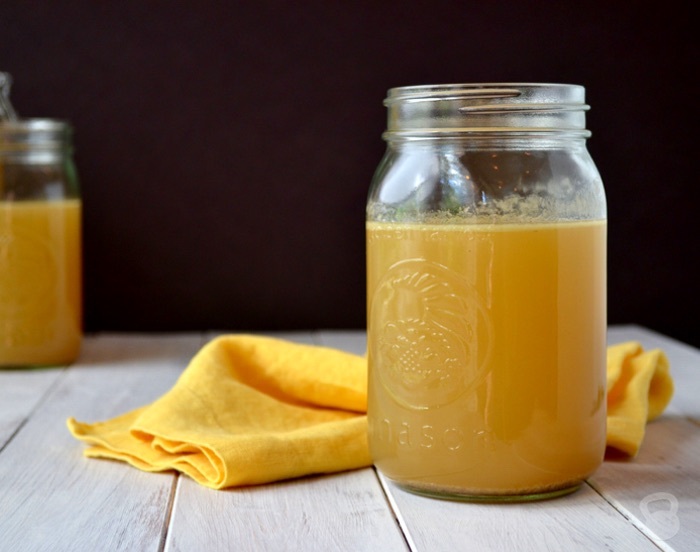 So, why is this simple homemade chicken bone broth so special? Bones are made up of minerals and amino acids, including calcium, magnesium, collagen, chondroitin sulphates and glucosamine. Simmering bones in water for an extended period of time slowly breaks down the bone to release all of the glorious nutrients it contains. The end result? A liquid “gold” that’s incredibly nutrient-dense, and packed full of culinary potential. Many of the nutrients found in homemade bone broth are super for reducing joint pain and inflammation, boosting the immune system, and supporting digestive and detoxification function. This homemade chicken bone broth recipe is incredibly easy to make, and will fit right into your schedule—so much so that you’ll barely even know you’re making homemade bone broth. As a side note, this recipe will not produce the most unbelievably-tasting homemade bone broth you’ve ever had in your life. 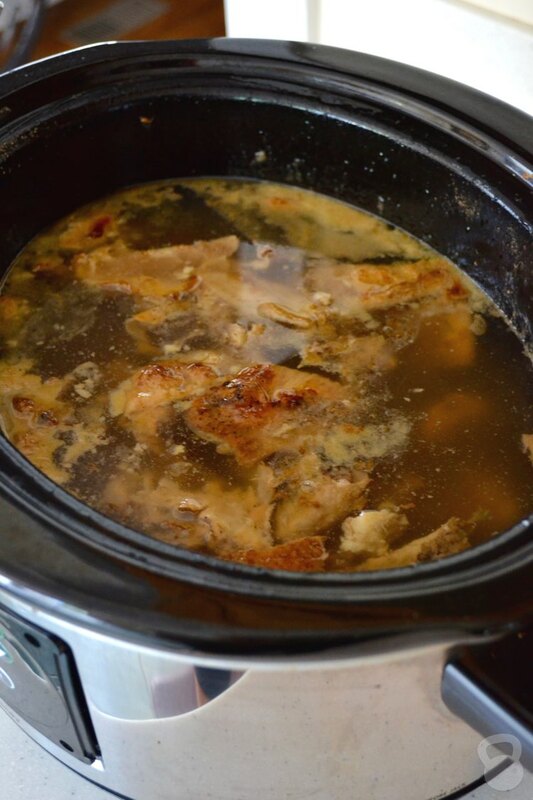 My priorities and desires do not include becoming a bone broth connoisseur, so for me—this recipe creates a tasty homemade bone broth, which is perfect for my non-professional kitchen. 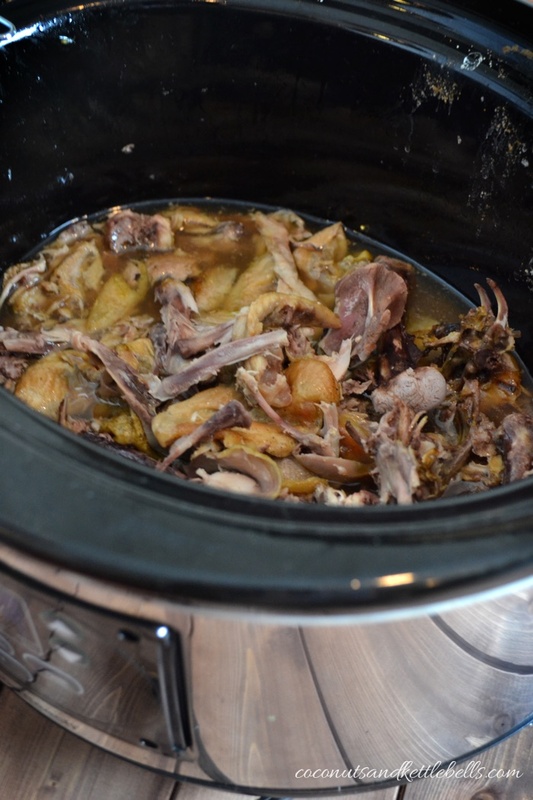 The reason why this homemade chicken bone broth recipe is so fantastically easy is because it can quickly be set into motion after cooking a whole chicken in the crockpot, which many people already do. By simply adding a step to your dinner preparations, you’ll save money, time, and resources, all the while creating your very own liquid gold. For this recipe, you’ll need a slow cooker. At just under $50, it’s quite possibly the best kitchen tool I’ve ever purchased because it allows me to make dinners when I’m busy, and cook things like whole chickens, stews, and yes—homemade bone broth in bulk. Mine typically runs 2-3 days per week. You can thank me later. This super simple homemade chicken bone broth recipe is so easy, you’ll barely even notice you’re making it. Add distilled water, unprocessed sea salt and pepper, and 2 tbsp apple cider vinegar to crockpot. Water should be about 1 – 1.5 inches above bones. This homemade bone broth is great for using with soup, chili, and stew dishes, which makes the dish more flavorful and nutrient-dense. If you plan to drink your homemade chicken bone broth straight, I recommend adding a bit of unrefined sea salt and pepper (1/3 tsp each) to your bone broth before simmering. 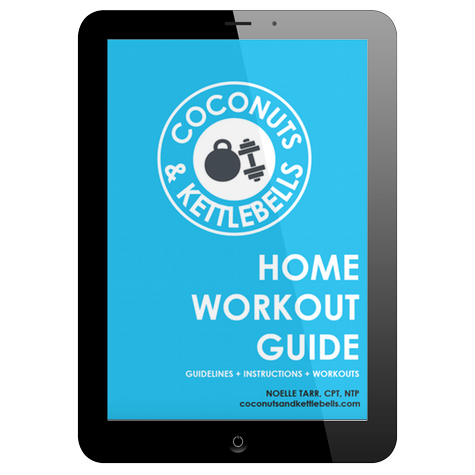 The amount of water you use will depend on how big the carcass is, how big your slow cooker is, and whether or not you’d like your bone broth to “gel.” I typically fill my crockpot with water about 1 inch above covering the bones—or about 3 quarts. If you’re bone broth doesn’t gel, consider reducing the water, or adding more jointy bones to the mixture, like chicken necks or feet. Local farmers sell both of these items for as cheap as $1/lb. You can also add gelatin to bone broth, which will make it gel in the event yours doesn’t. Regardless, homemade bone broth is still nutrient-dense and full of goodness. 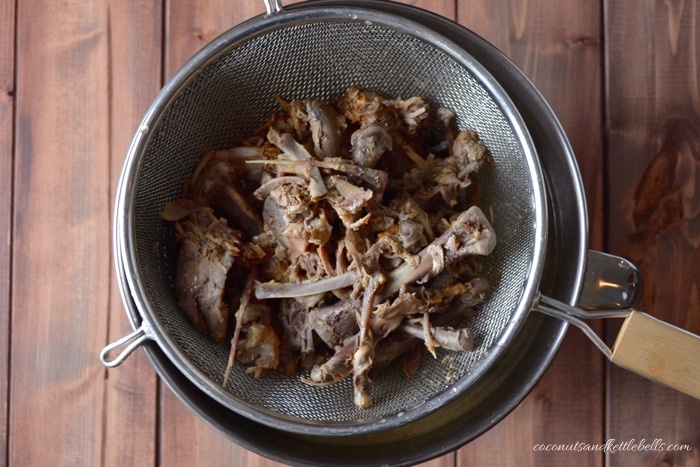 Be sure to add all the contents leftover after deboning the chicken to your crockpot, including cartilage, extra skin, and any giblets that came with your chicken, like the neck. Do NOT add the liver, as it will make the bone broth bitter. I highly recommend only making bone broth from chickens that are pasture-raised and come from your local farmer. 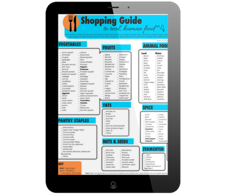 Check out how to do that in 6 Ways to Start Eating Locally. Got any additional questions about this homemade chicken bone broth recipe? Ask away below! I love this! I’ve always heard that bone broth is supposed to gel, but I haven’t had success with this yet. I love a cup in the evening with a little sea salt added to it. Delicious! My understanding is that “gel” top would usually depend on the amount of fat in the meat and/or bones that you are using to make your broth with. Some brands of organic chickens that I purchased did not “gel” at the top as much as others. I wouldn’t worry too much about it not getting its gel on. 🙂 Still has all the wonderful nutrients! 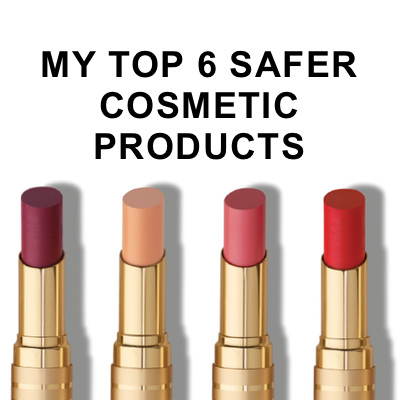 Mine often doesn’t unless I reduce the water I use. Anytime we have meat cooked on the bone I save the bones in a bag in the freezer. I also add the ends of celery, onions, carrots, parsnips, and any stems from parsley. Once the bag is full I make broth! I do this too! My husband recently got on the bone broth kick and was drinking up my stash! The crockpot along with my blender and bay far my favorite kitchen utensils. how long will the broth last ? 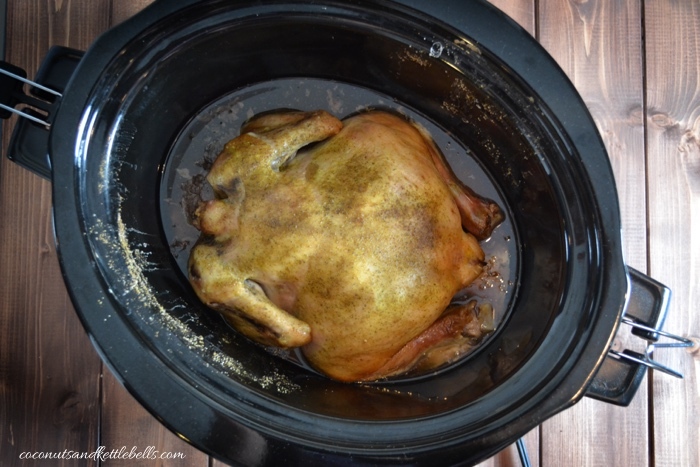 Do you add any water to the crockpot when cooking the chicken or just add the chicken? I need to do this more! 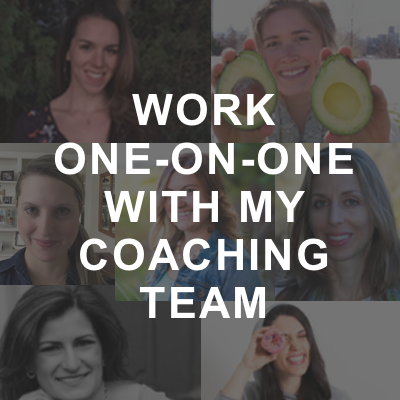 it is literally the easiest thing to make but I often fail to do it….I will make this my mission this week 😉 Do you ever make bone broth with beef bones? Thanks! Absolutely! Actually, I typically rotate between chicken and beef bones. So, yesterday – I did beef bones. Just grabbed a bag from my local farmer and I throw 3-4 bones in the crock pot, cover it in water, and add a bit of salt and garlic. 🙂 Good luck this week!! I just made my very first batch ever of chicken bone broth–and it’s not pretty :/ I have very dark brown, tasteless liquid. I used a leftover chicken carcass, chicken necks, carrots, celery, onions & skins, garlic. I’ve been scanning Pinterest for two days and found your site AFTER I turned the crock pot off (bad timing). According to the directions I used, I was supposed to cook it for up to 48 hours, which I did. There was no gelling going on in my pot! I didn’t realize I could put the chicken fat/skin and season with salt, herbs, etc… Needless to say, I will try again in a few days with the extra necks and freaky chicken feet I bought. Is there anything I need to do before making broth with chicken feet? A little massage?… A little French pedi?…Anything? Do you let the broth completely cool down before you put it in the glass jars? And how long do you keep the jars in the fridge? Is it supposed to jell while in the crock..or once it freezes? How do you freeze it for individual servings? Thank you. Hi Deborah! Sometimes, it “jells” in the fridge. I store it in Le Parfait airtight glass jars in the freezer (purchased from Crate and Barrel). 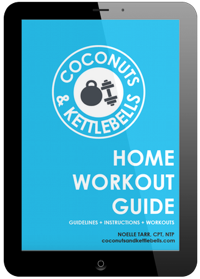 Hey Noelle, I’ve used this recipe several times and love it. I have a question about using the giblets. Do you cook them with the chicken or have them cook in the pot with the bones? Thanks for everything you do! I love drinking bone broth but I’m just too busy to make my own. I found Au Bon Broth and I like it so far. The broth is tasty and delicious and organic too. It’s helping me with my sleeping problems. Is there any danger of over brewing the bones. I thought the longer the better. A friend said I should remove the bones after the first simmering period. Your comments? Not really sure what the question is? I don’t know of any “dangers” from simmering bones in water. I definitely wouldn’t do that. The bones should be returned and water should be added. Can I use regular tap water instead of distilled water? No, I don’t recommend that.